AC Milan will reportedly have to sell Andre Silva, as Sevilla are said to have made the decision to exercise their option to sign him at the end of the season. The 23-year-old scored 10 goals and provided two assists in 40 appearances last season for the Rossoneri, as he struggled to settle in his first year with the Italian giants. The arrival of Gonzalo Higuain this past summer ultimately led to the decision to loan him out at Sevilla, and as per Calciomercato, the Spanish outfit now intend to exercise their €38m option to turn it into a permanent move. It’s suggested that they will pay the fee in four instalments though, and so it remains to be seen if that’s a formula that Milan are willing to accept if it wasn’t initially agreed upon in their deal. Silva has scored nine goals in 20 outings for Sevilla so far this season, proving his quality that he previously displayed at Porto. In turn, it could be argued that Milan have made a mistake and not given the Portuguese international enough time and belief to reach his full potential at the San Siro, although the lack of guarantees over playing time due to Higuain and Patrick Cutrone would also have been a crucial factor. 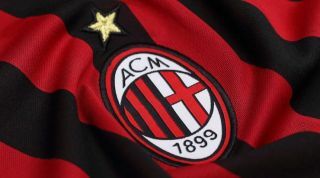 Meanwhile, the Rossoneri remain light up front as they continue to compete on multiple fronts, and Alexandre Pato has emerged again as a possible alternative to Zlatan Ibrahimovic, as noted by Calciomercato. The Brazilian forward scored 63 goals in 150 games for Milan between 2007 and 2013, but a long list of injury setbacks eventually saw him move on. It’s added in the report that the presence of a €25m release clause in his current contract with Tianjin Quanjian could complicate matters, and so it remains to be seen if the two parties can negotiate a deal as Milan are said to be unwilling to spend that much amid ongoing FFP concerns.